Fall in Love with Moments! 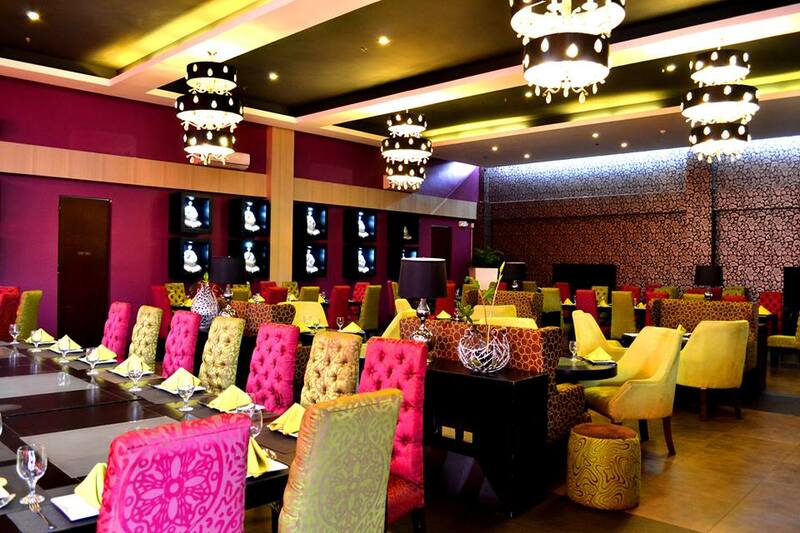 Valentine day special @ Eight Secret Spices Restaurant. 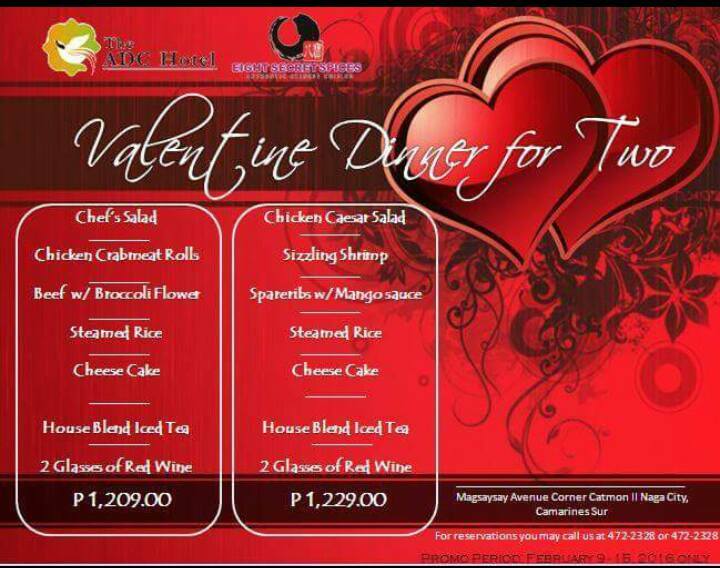 For reservations, you may call us at 472-23-28 or visit The ADC’s Hotel Bldg. Catmon II magsaysay Avenue Naga City Camsur.